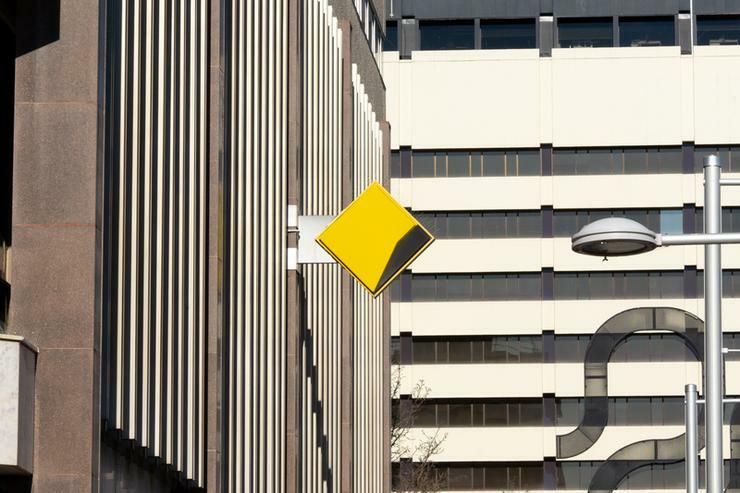 Commonwealth Bank of Australia has agreed to make software upgrades to its Albert EFTPOS devices, following a lengthy legal challenge and campaign from vision-impaired Australians. A discrimination case was brought against the bank by former Disability Discrimination Commissioner Graeme Innes and Nadia Mattiazzo whose complaint focused on the difficulty blind and vision-impaired people had in securely using the device. CBA’s Albert EFTPOS machine was launched in 2015, to much fanfare from the bank. There are currently 94,000 Alberts in use across Australia. The bank quickly came under criticism from disability advocates. While the device has some accessibility features – which begin with a 10-minute audio tutorial and end with a set of gestures to learn – they were deemed inadequate by disabled users. Being forced to listen to the tutorial in a busy store setting “causes anxiety” and was “impractical” advocacy group Blind Citizens Australia (BCA) said. The lack of a tactile keypad on the touchscreen device meant anyone who could not see or easily use the screen (such as those with struggle for people with nervous system disorders like multiple sclerosis or Parkinson’s) struggled to independently complete their transaction. This meant people were often asked to divulge their PIN numbers to merchants, potentially breaking card contracts. BCA – of which Innes and Mattiazzo are members – supported a number of individuals to make complaints about Albert to the Australian Human Rights Commission in 2016. Unable to resolve the matter through conciliation “the complainants were left with no option but to terminate their complaints and pursue the matter in the Federal Court,” BCA said. Innes and Mattiazzo – represented in court by the Public Interest Advocacy Centre, and backed by Grata Fund – settled their case against the bank on December 18. “We have been raising these issues since 2016 and we appreciate that the bank has listened to our feedback and is taking steps to improve the accessibility of the Albert. It is so important that technology like this allows people with disability to fully participate in public life,” said Mattiazzo. CBA said that it “acknowledges the difficulty” blind or vision impaired Australians experienced with Albert, and said it would “soon release an upgrade to Albert's software, which includes easier activation of the accessibility feature and other enhancements”. The bank added that training would be made available to merchants over the coming months about the accessibility features. This will take the form of a video on the bank’s website for merchants about the features as well as annual training sessions in capital cities. There will also be reminders on merchant invoices “about ensuring the merchant's employees know how to use the accessibility feature” and a “podcast or video” for card holders on “how they may activate it and use it”. The bank has also endorsed a set of voluntary industry standards on accessibility for banking services, which was published by the Australian Banking Association in November. “I commend the bank for listening to our feedback and making these improvements. Most importantly, the bank has committed to ensuring accessibility will be a key requirement of product development in future,” said Innes, who led the ABA’s review of accessibility standards. “I look forward working together with CBA and the banking industry to identify accessibility solutions, including to explore emerging technologies such as tactile overlays, which may offer a simple and practical answer to this issue,” he added. Disability campaigners have long called for greater involvement of disabled users at the design stage of new products. “New technology promises great benefits to consumers, but it has to be inclusive and accessible. This must be part of the design process from the beginning. We hope this case and the CBA’s commitment to accessibility in future product development sends a strong message,” said PIAC senior solicitor Michelle Cohen. Last July the Australian Human Rights Commission launched a consultation on the intersection of human rights and technology, including a focus on accessibility. “Some technology companies have been pioneers, making such objectives central to the design and development of services and products. Others have paid little or no attention to these aims,” the commission wrote in its issues paper. Close to 40 per cent of all complaints made to the commission in 2016-17 were lodged under the Disability Discrimination Act. A third of those related to goods and services, many of them new technology. BCA chief Emma Bennison commended Innes and Mattiazzo, but said CBA’s response was “pretty unsatisfactory”. “We were pinning our hopes on this case to shift things, but despite Graeme and Nadia’s best efforts, I don’t believe it goes anywhere near far enough,” she told Computerworld. BCA members had trialled the Albert devices with the planned software upgrades she said, but they reported entering a PIN was “still extremely difficult to get it right first time”. “We philosophically believe you shouldn’t have to have training just to enter a PIN. They are doing things but to us, it’s too little too late,” Bennison said. “They’ve tried to band-aid the situation and I suspect it will fail and I suspect we’ll end up going through this process all over again. The fight isn’t over as far as we’re concerned,” she added.